It may be winter but in Southern California, we have the sunny advantage of enjoying pleasant weather almost year-round. 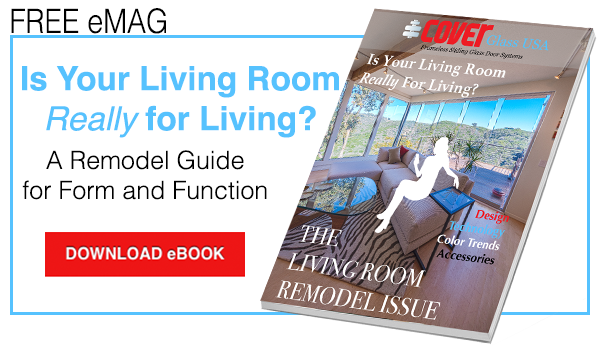 While the temperature may still be a little chilly, it’s never too early to start thinking about those dog-days of summer, and how best to design your home to accommodate those infamous heat waves and take advantage of the breezes that blow through. Redesigning your transitional exterior components (e.g. windows, doors, patios, balconies) is one of the most practical ways to take advantage of the weather and heat. Take some time to explore options and designs to help you choose the right patio door. Before you begin exploring which patio door is right for you space, it is necessary to understand the function and use of the space itself. Does it lead to a balcony that is used often, or not at all? Will this remodel encourage you to take advantage of your outdoor space more? Will you be hosting more get-togethers? Is there a breeze or view to take advantage of? Does the sun shine directly through? These factors can help you determine what sort of patio door you pick and if you will need other design components like tint, low-e glass coating, or an internal locking system. Sliding Patio Doors - also called gliding or bypass doors. Sliding glass patio doors are the more conventional style seen in most homes. They usually consist of two or more glass panels, with at least one parallel sliding panel. These are ideal for tight spaces as no additional room is required for the function of the door system. Swinging Patio Doors - can also be referred to as hinged patio doors. A conventional swinging exterior door or pair of doors. French doors are the most well known version of swinging patio doors. Both doors swing out to open like a pair of wings on either side of a completely unobstructed opening. Their opening size is dictated by the leaf size. Consider the space available when choosing a patio door. Traits such as wall space and furniture can greatly affect your decision. Folding Patio Doors - offer a more expansive option to connect the interior and exterior spaces. They usually operate accordion-style, with the doors stacking and folding to one side via an overhead track. The framing and construction of patio doors can be manufactured using many different types of materials and oftentimes a combination of materials. Wood is a common choice and maybe fir, pine, mahogany, or alder. Each choice possesses characteristics specific to the type or species of tree. Traits like grain, color, flexibility, age, or provenance can affect your decision in choosing the right patio door. They offer architectural appeal but require routine maintenance such as painting and checking for mold and pests. Vinyl is another very popular option. Vinyl patio doors tend to be fairly energy efficient, easy to maintain, and long-lasting. Aluminum resists rust and mildew and is ideal for moderate climates. They can also be very durable and better sustain the elements. Steel offers better security and insulation options. It is a very strong and structurally sound material that can resist rotting, warping, and shrinkage. Fiberglass offers a diverse range of nonporous and waterproof surfaces. It is resistant to dents, warping, and peeling - very low maintenance. They provide a fairly good level of security and are available in a variety of textures. 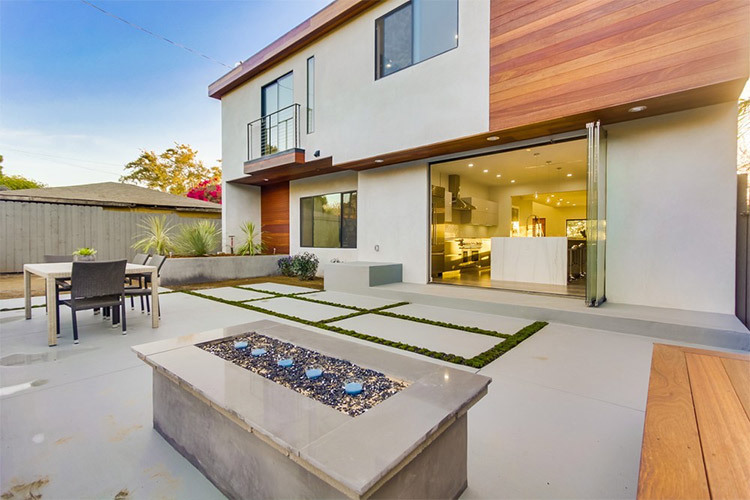 Frameless Glass offers the benefit of uninterrupted exterior views and takes full advantage of your indoor and outdoor spaces. They are aesthetically and architecturally pleasing, weatherproof, soundproof, safe, and secure. Our systems open up entirely and also take up little to no space as the panels stack closely and magnetically to one or both sides. The glass itself is a very important choice to make, it will determine the safety, privacy, durability, and energy saving capacities or your patio door. There are a number of decorative glass options including beveled, stained, or frosted. Conventional clear glass, while affordable does not offer very much in the way of privacy, safety, or energy performance. Our frameless sliding glass systems are the perfect solution when it comes to choosing the right patio door. Low-e (low-emissivity) coating for optimized thermal performance and protecting against harmful UV light. Patio doors are a very popular feature in a home, they provide natural light, open up the space and allow you to Welcome the Outside In™. With a wide range of new materials, including the glass itself, your choice will depend on personal taste and budget. Frameless sliding glass patio doors with low-e glass coating are the perfect combination for space, design and energy efficiency.